This is an excerpt from an article I wrote back in the summer of 2004. I hate to say it but since then the problem has seemed to worsen exponentially, greatly due to the Internet and marketeers stalking the desperate….. It was the summer of 2004 and my wife and I were out and about so we stopped by a Barnes & Noble to look around. As we made our way through the various sections, one in particular jumped out at me and froze me in my tracks. Above a large selection of books was a sign identifying the category for which it represented. In big bold letters was “Trends in Health”. I stood and stared for what seemed to be several minutes, almost dumbfounded at what I had just read. My wife had made her way ahead of me and after coming out of my trans like state, I slowly moseyed on over to where she was standing, continually looking back over my shoulder as to reconfirm what I had just seen. Apparently I had a stranger than normal look on my face because she asked me what the problem was, almost implying that I was acting like I had just seen someth ing disturbing. I had her walk back to the “trends” section with me and just pointed to the sign. A trend (as defined by Merriam-Webster’s dictionary) is something that people veer in a new direction towards, choosing to take on a new approach or become deflected. This happens quite often when it comes to diet and exercise, usually stemming mainly from what’s in vogue at the time. The so-called diet community, nutritional experts and exercise gurus jump on all the hot topics and in their infinite wisdom, make recommendations with total disregard for a healthy and safe approach. Unfortunately, the methods recommended are often too radical, unproven and are promoted as “the be all to end all” for success with little or no regard for optimizing health. This society of “specialists” has been known to red line in so many opposing directions that inevitably everyone appeals to the fads that seem to breed on the bookshelves, magazines and infomercials, all with the hope of dropping weight and looking incredible. The most disturbing and terrifying thing is that there is very little control of what is propagated today by dieticians, nutritionists, exercise specialists and sadly enough too, doctors. 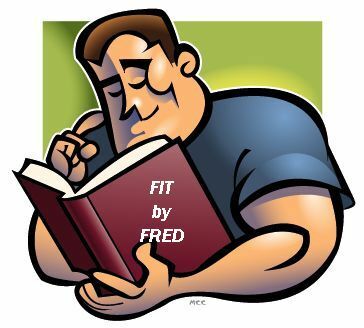 Articles, advertisements, and best selling books (I would not classify the books on the market professing specific weight loss techniques as nutritional information) are professing the answers of how to become lean and mean and in the “best shape of your life”. What’s even more disturbing than the snake oil approach that is all too familiar is that the consumers actually buy in to it (figuratively and literally), either from desperation or as a means to warding off the truth of what really needs to be done, which of course is a well-rounded program of resistance training, conditioning and a sensible eating plan that is done consistency and intensely.